In January 2013 I received an email from the artist Nicholas Wilton describing the mentoring program he was launching. It was as if he was speaking directly to me, personally – which was impossible since he and I had never met. I had joined his newsletter list sometime previously thinking I might want to take one of his workshops “someday”. Well, the day I received the email about the program became the someday and instead of a 3 day workshop I was going all in and applying to be part of a 9 month mentorship. I completed the application and sent it in with little expectation that I would be accepted into his program. After all, he was a “real” artist and I hadn’t even been to art school. A few days later I receive an email from his assistant setting up a call with Nick – a call that ended with him inviting me to become one of his first 10 mentees and with me saying “Yes”. Our first meeting on February 15, 2013 launched me into a year filled with challenges, learning, fun, community and so much more. I’ll be referring back to these experiences and describing how they continue to shape me as an artist in future love notes (aka blog posts). 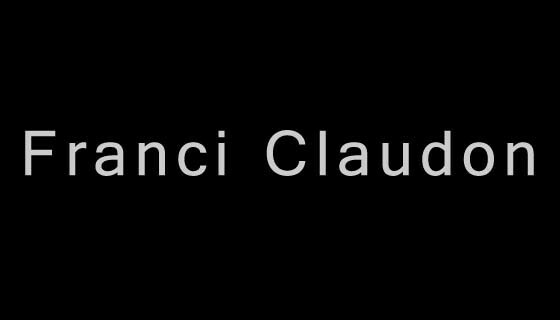 Welcome to franciclaudon.com – the home for my paintings, writings and other creative endeavors. My work is about my belief in possibility – this former Silicon Valley cubicle refugee has reclaimed her artistic identity through a leap of faith and with the support of family, friends and my mentor Nick. I can hardly wait to see what comes next! Thank you for coming along for the ride.